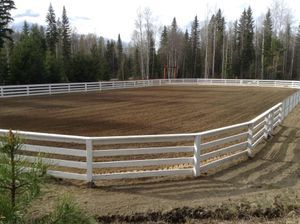 The Wells Gray Riders Association are fundraising to establish a Riding Arena. We are lucky enough to have been given permission to use land at the Upper Clearwater Community Hall. Funds raised will be used for the materials such as for groundwork, fencing and sand. If you have money, but no time, and would like to make a donation to help raise funds for the WGRA arena at the Upper Clearwater Community Hall, please click "Donate" below. If you have time and no money, then volunteer labour is also much needed. The Arena will provide a much needed home ground for our club, its members, hosts our fabulous Gymkhana's, clinics and is an excellent practice ground for the Rhythm Riders Drill Team.